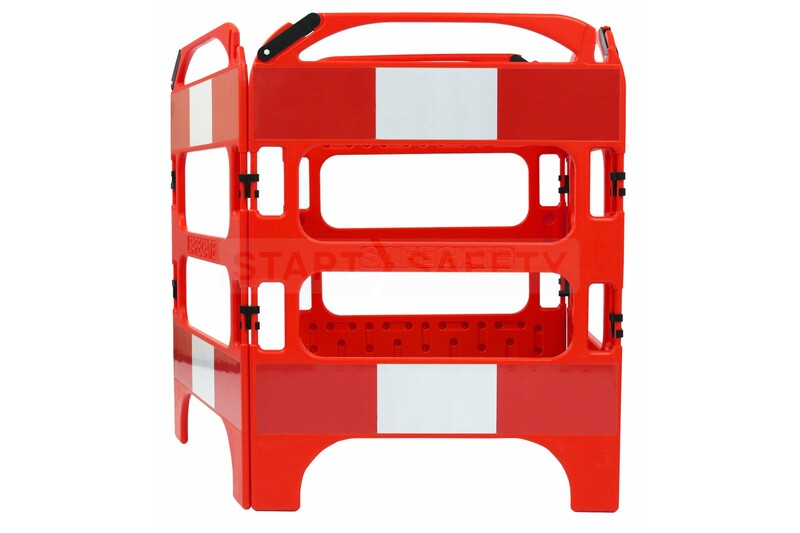 To get a quote on this item, please contact our sales team at (800) 671-9662. 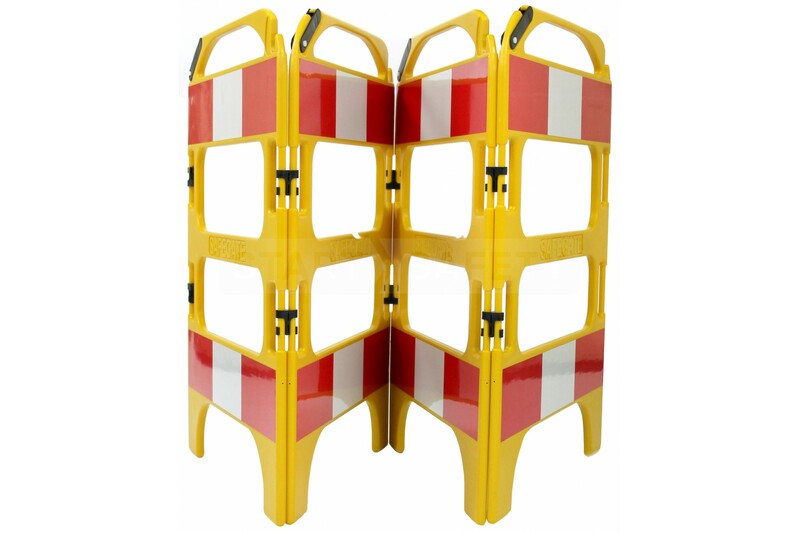 They will ensure you get the best product for the job at the best price possible. 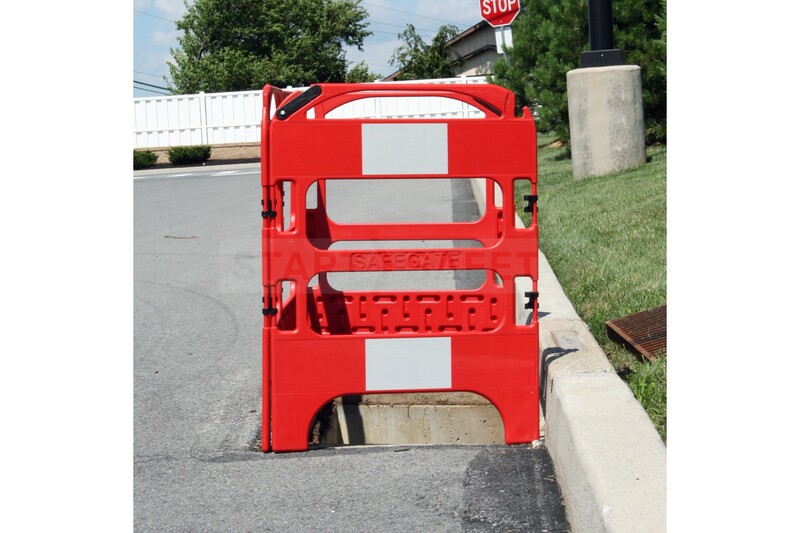 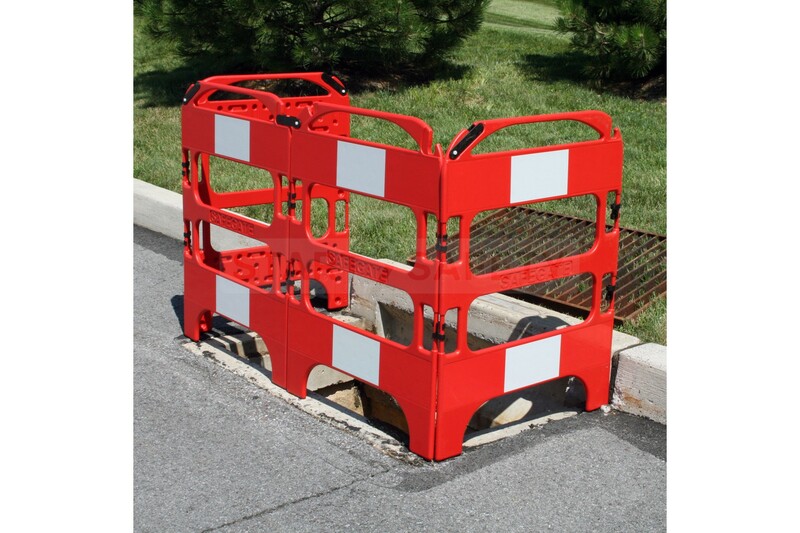 The safegate manhole barricade is an affordable lightweight compact folding barricade that is ideal for surrounding manholes or any small work zone hole, where pedestrian protection is required. 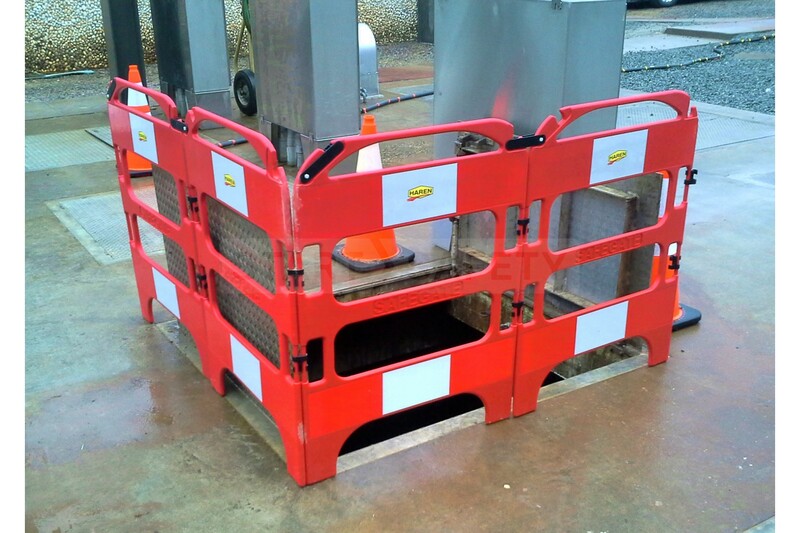 The key feature of the SafeGate manhole barricade is that it can fold into a small flat package that is easily stored in the back of a van or pickup. 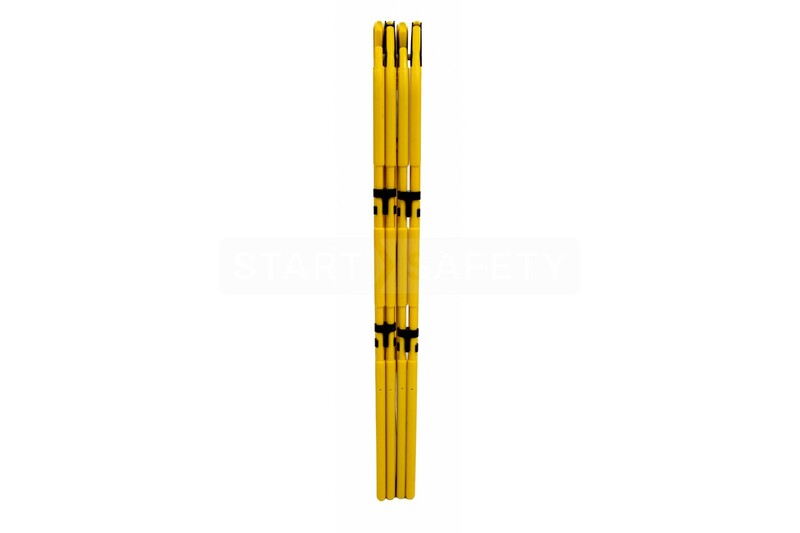 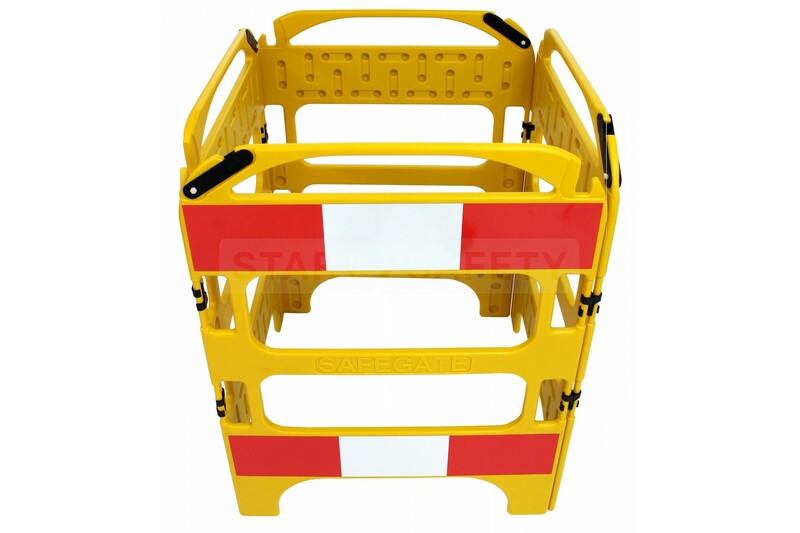 This ensures that every worker out on the road has a sufficient safety barricade available without taking up valuable space in their vehicle. 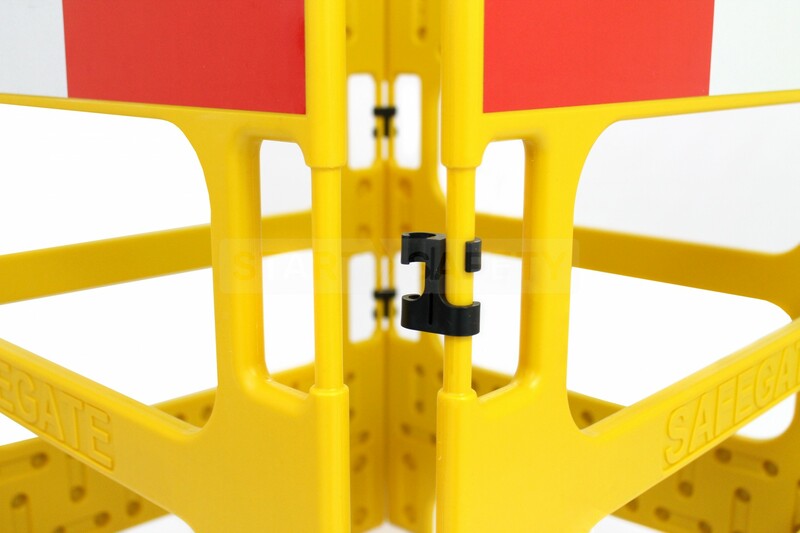 A hinged locking mechanism at the top of each section of the safe gate barricade allows each section to be locked together to form a straight line barrier. 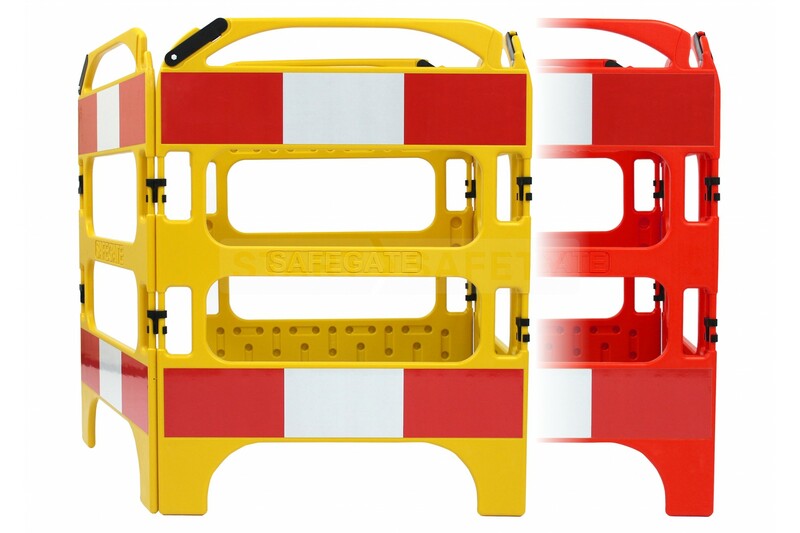 The ability to lock sections together makes the safegate very useful and adaptable to many work site applications. 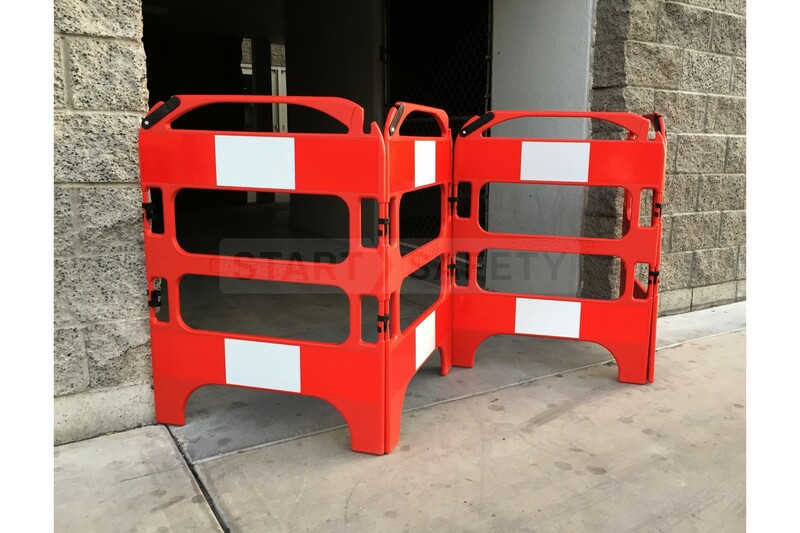 The lightweight blow molded construction of this manole barricade makes it very easy to handle and set up when arriving on site and quick and easy to break down and put away at the end of the day. 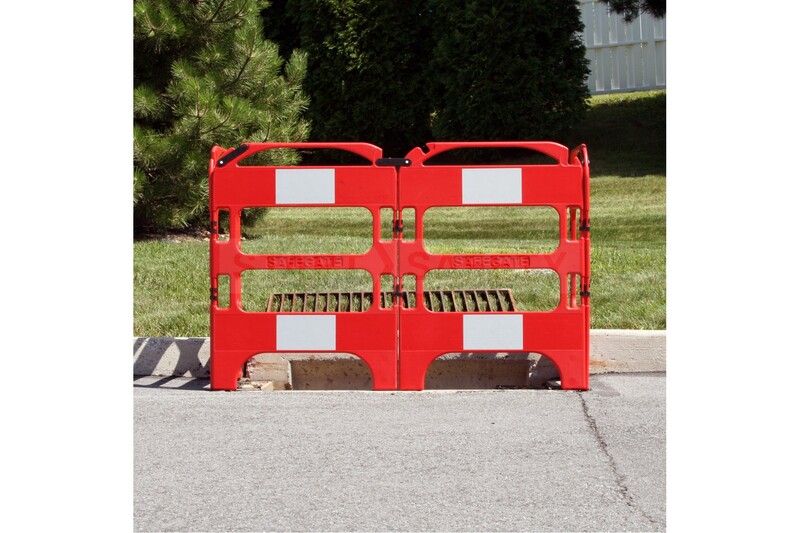 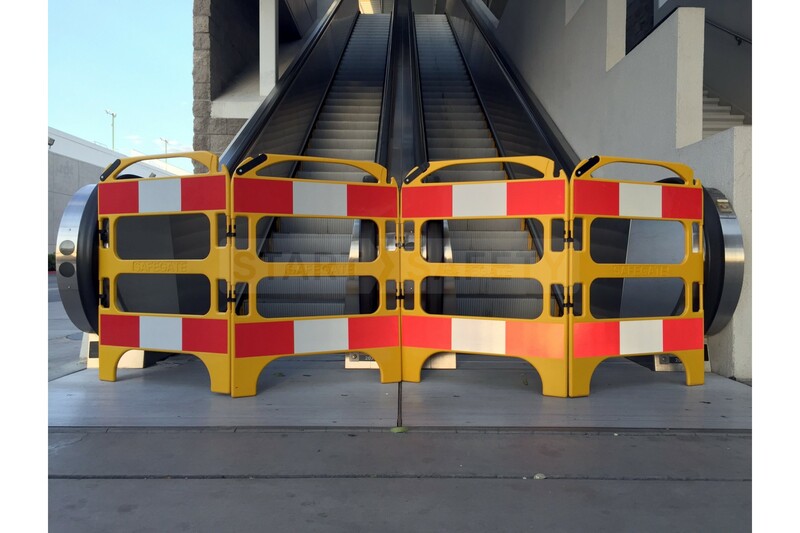 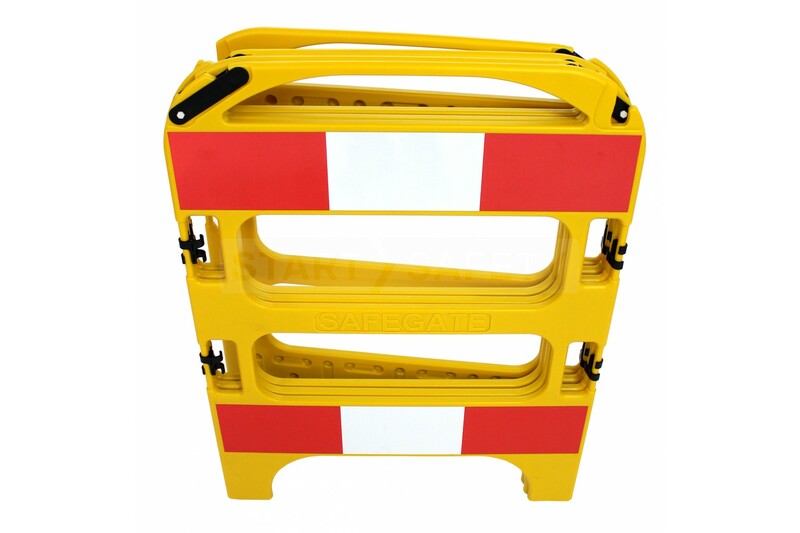 Safegate manhole barricades are made from very sturdy, durable UV stabilised high-density polyethylene (HDPE) and are not affected by weather or corrosion.